The third week of this year’s Tour de France will again host an enormous battle, with the biggest mountain stages of the race, a crucial TT, and a new innovation. For the second time of the race the riders will head straight into the mountains after a rest day. This time it’s the Pyrenees though, as Stage 16 finishes in the town Bagneres-de-Luchon. On the way there from Carcassonne, the peloton will ascend the Col de Portet-d’Aspet (Cat 2, 5.1km @ 7.1%), the Col de Mente (Cat 1, 6.9km @ 8.1%), before the final climb of the Col du Portillon (Cat 1, 8.3km @ 7.1%). From there, they’ll take a tricky 10km descent into Luchon. 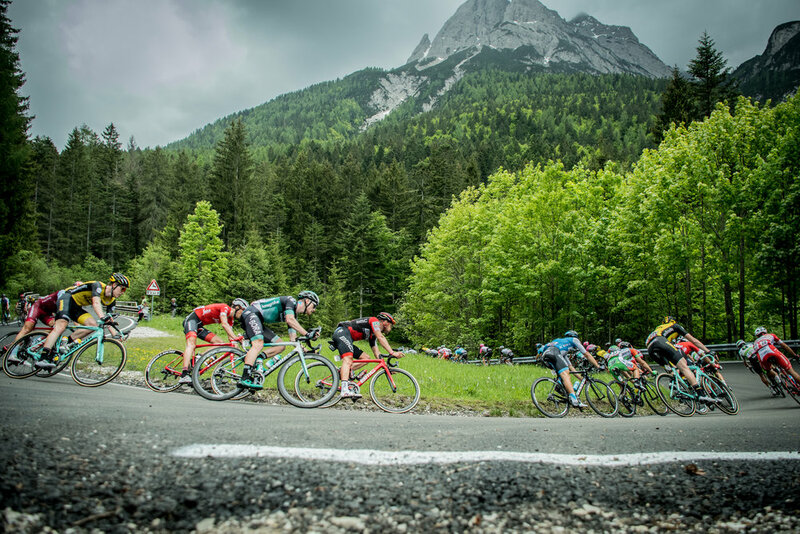 The climbs aren’t brutal; they’re all relatively short compared to some fo the 25km monsters the peloton’s already faced, but they come in quick succession and we’ll see fireworks as the best descenders like Bardet and Froome look to find an advantage. Froome won in Luchon two years ago, after attacking on the descent, though it was after descending down from a different climb. Stage 17 sees a new concept being introduced – Starting in Bagneres-du-Luchon, the peloton will have a starting grid, with the first 20 riders on GC at the front, in the GC order. That’s because this stage is 65km only, and heads straight uphill. There’s been a lot of chat about whether this will do anything? If Movistar or Sky have 3 riders in the top 20 and can immediately isolate their rivals, then sure. But like every new idea in cycling, it’s only going to work if the riders make it work; there’s every chance nobody will take the reigns, and the peloton will immediately regroup. The stage itself has three climbs; firstly the Peyresourde/Peyragudes climb, (Cat 1, 14.9km @ 6.7%) where the riders take the turnoff at the top of the first summit and keep climbing for another couple of kilometres. After a descent, they then go up the Col de Val Louron-Azet (Cat 1, 7.4km @ 8.3%). The final climb of the day is the HC Col du Portet, which is 16km at 8.7%. It’s amongst the hardest climbs of the whole Tour, and this is going to be one of the decisive days of the race. The race will take its focus off the GC for a day, as the sprinters get their time in the sun. Stage 18’s route from Trie-sur-baise to Pau is 171km long, with only two category 4 climbs. The last, the 2.1km Cote d’Anos, comes with 18km to go but shouldn’t prevent a sprint finish. Stage 19 is the final mountain test of the race and comes with six categorised climbs. While there’s two Cat 4 climbs at the start, the peloton still needs to climb the Cat 1 Aspin (12km @ 6.5km), the HC Tourmalet (17.1km @ 7.3%), the Cat 2 Col des Borderes (8.6km @ 5.8%), and the HC Aubisque (16.6km @ 4.9%). The Aubisque has two parts to it; the lower part is called the Col de Sourdet (7km @ 8.5%), before a small descent and the top section. The riders then descend into Laruns for the stage finish. The finale isn’t so hard today, but there’s so much climbing earlier in the day that its going to be difficult. A day for the ages this one. The penultimate day once again will host a time trial and its one of the hardest time trials going around. At 31km, it’s not super long, but there’s barely a metre of flat all day; in the final section there’s a kilometre long 10% climb, so it’s going to be brutal. With the one individual time trial, this sets a record for the least amount of individual time trialling in a tour, and with this course planned, there’s hardly anywhere for TT specialists to make up much time. The final stage runs on the traditional route around Paris, finishing usually with a sprint on the Champs Elysees. There’ll be a 60km jaunt from Houlliers to the center of Paris, before eight laps of the finishing 6.8km circuit where the sprinters chase the biggest stage win in cycling. It’s a tough and diverse final week for the GC riders, with stages that offer something different every day. The centerpiece will be the 65km Stage 17, which should see fireworks, but stage 19 could be equally crucial with so much climbing.